Tahola are delighted to announce the appointment of a new Director of Business Development. David Fitzgerald, was appointed in June 2018, as part of Tahola’s growth plans to achieve £5m turnover in the next 3 years. Tahola are Data integration experts, providing Bespoke and Cloud Based Business Analytics Solutions to a wide variety of sectors, with a strong focus on the Hospitality Industry. David joins Simon Blackbournes’ (Commercial Director & Founder) Commercial team and together they will drive the growth of the business forward to ensure that the £5m target is not only reached but exceeded. The decision to grow the Commercial team has been one that Tahola has been planning for almost 12 months, keen to take the organisation to the next level, Tahola knew it was time for a step change. Simon Blackbourne, at Tahola commented “We wanted to bring in new blood to Tahola, but having run the commercial side of the business myself with the support of my team for over 15 years, I knew that sharing that responsibility, would be a test for me personally. I am relieved to say I can’t think of a better individual to take on the role”. The recruitment process itself was a careful and considered one as Tahola knew exactly what they were looking for and wouldn’t settle for anything less. Therefore, the challenge became as much about finding the right person as it did about finding the right experience and skills, and so the search and selection for the right candidate was approached with caution. The objective of the search wasn’t merely to hire a sales person to sell software and hit targets, it was about identifying an individual that had significant experience both within Tahola’s chosen markets, someone that had a detailed understanding of Data Analytics, could consult to sell solutions and more importantly, whose approach and values were in line with that of the company. And so, after many months searching for the right candidate, Tahola found David Fitzgerald. David has a strong track record in consultancy, software and hospitality and brings a wide range of experience to the management team at Tahola and met all of the requirements that Tahola were looking for in a new Director of Business Development. With his creative and strategic directorial experience David’s skills span across a broad range of areas including, business development, sales, FMCG, retail, facilities management, hospitality, customer service, education, product development and audit. David’s career journey to Tahola has been an evolutionary one and one that has provided him with the knowledge and experience along the way to understand and appreciate the true nature of what Tahola’s values, beliefs and unique benefits are, whilst also having a detailed understanding of the markets Tahola operate in and the solutions they provide. His consulting experience means that his business approach is also in line with that of Tahola’s, which was a key attribute that Tahola required. Because Tahola consults to understand the true nature of the problem, that the Business Analytics solutions they provide are being asked to resolve, building relationships with customers and truly understanding their requirements is of paramount importance, as it’s only then that a Business Analytics solution can be delivered, that is truly fit for purpose. 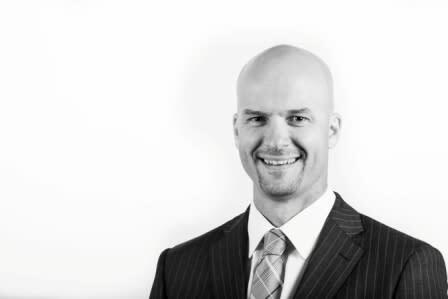 David has developed a wide range of skills and experience throughout his career to date, that all serve to fit in with the unified and consultative approach Tahola take, keen to work together as a team, always putting the customer first and exceeding expectations every step of the way. David also has a wide range of business transformation and change management experience and has been responsible for significant growth with an immediate positive impact in a number of organisations that he has worked with and for. In just one organisation alone David increased company income by £6m per annum, whilst dramatically improving the company profile and reputation within their chosen industry and doubling revenue and profits despite deep recession. David Fitzgerald, commented “I am truly delighted to join Tahola and feel we are a perfect fit for one another. Over the years I have had the privilege of helping many companies improve performance. Often this is by helping them focus on a couple of key business areas such as sales, margin, stock control, marketing, product development, compliance, health & safety etc. What I love about Tahola is their ability to deliver the most relevant, summarised, business critical information in a simple, timely and intuitive way, to all areas of business. Combining any number of data sources and revealing powerful associations within it, they arm each team member with the key information they require to improve their own performance, and in turn improve overall company performance. I am excited for the present and the future. The time to invest in data analytics & BI is now and those who are adopting and adapting to it are winning. I look forward to helping clients capitalise on Tahola’s game changing technology and expertise, and to growing prosperous long-term partnerships”.